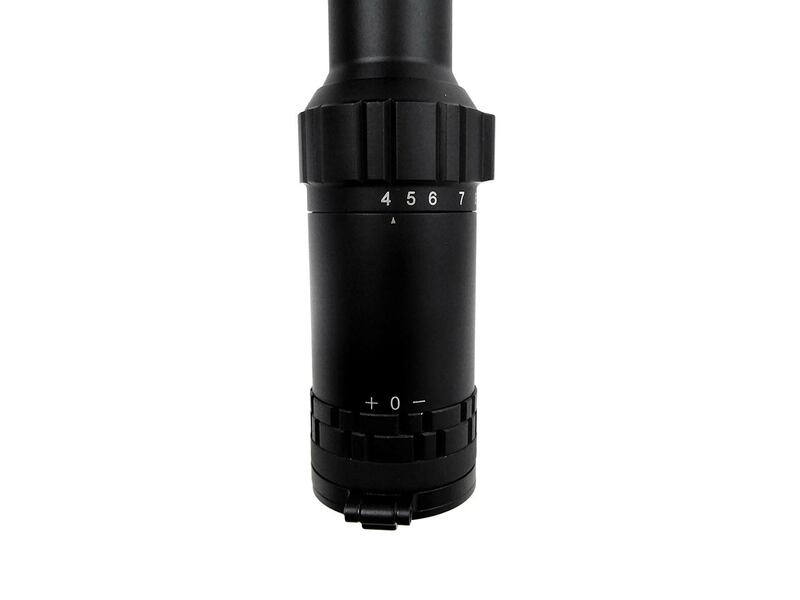 Features include: Red/green illumination 5 levels of brightness, fully multi-coated optics provide maximum clarity, side focus parallax adjustment to infinity, 1/4 M.O.A. 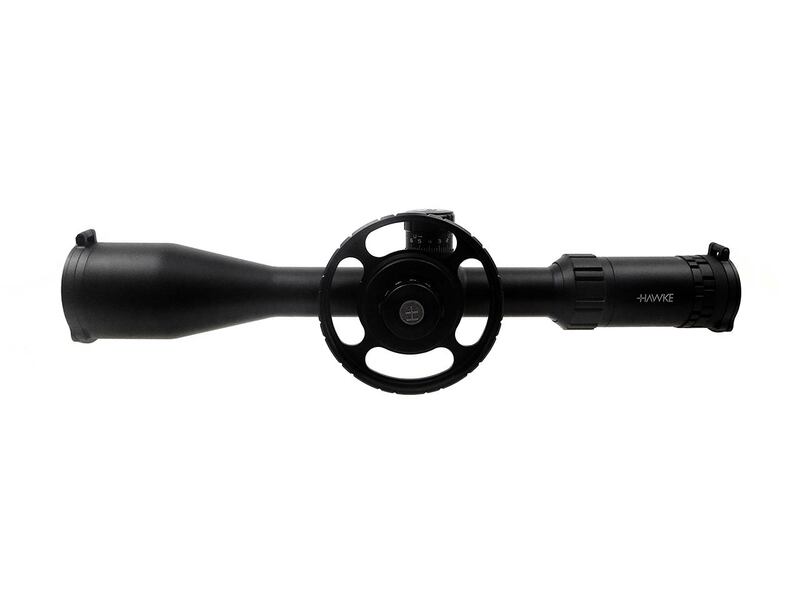 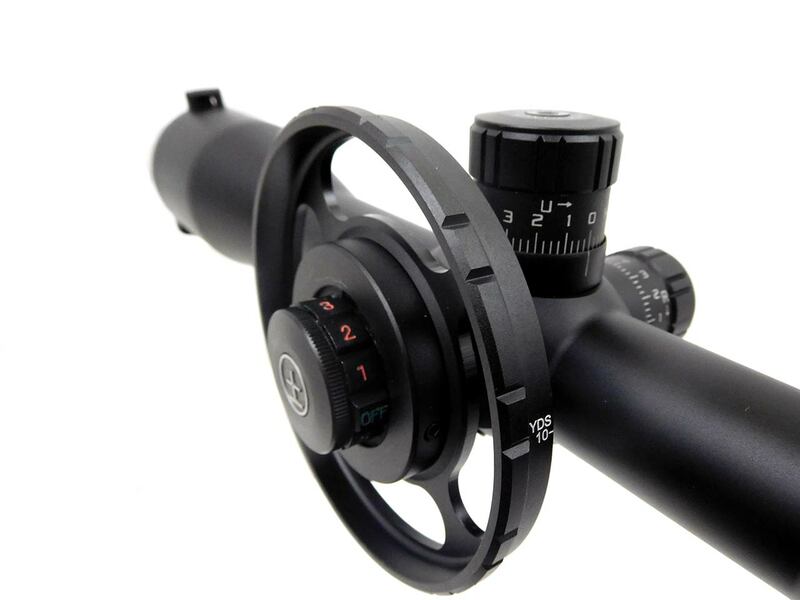 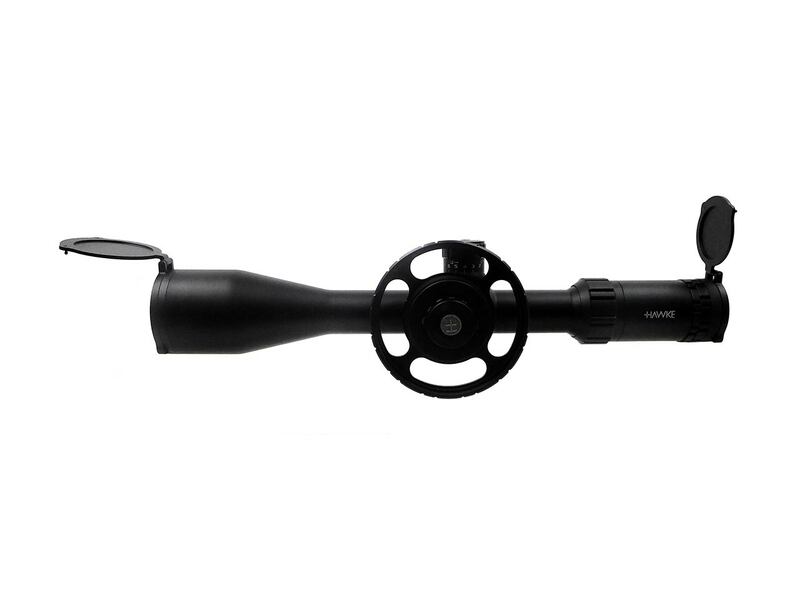 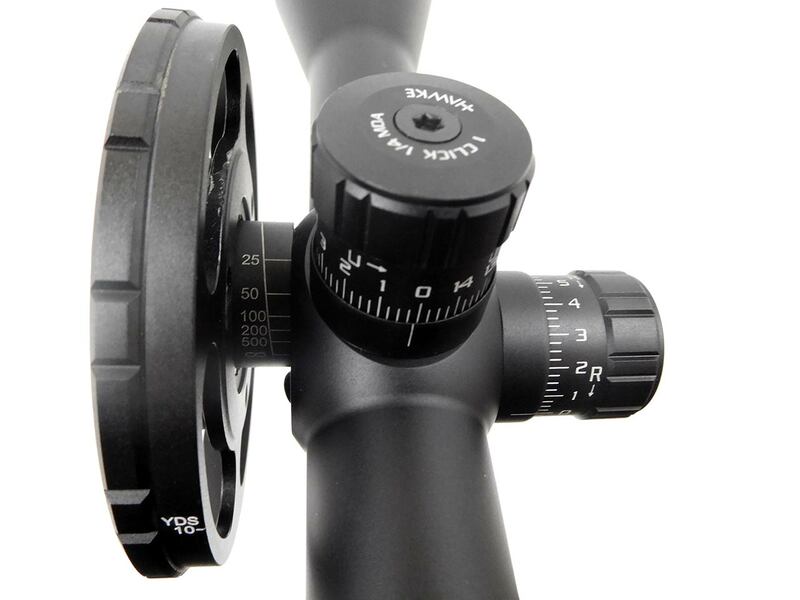 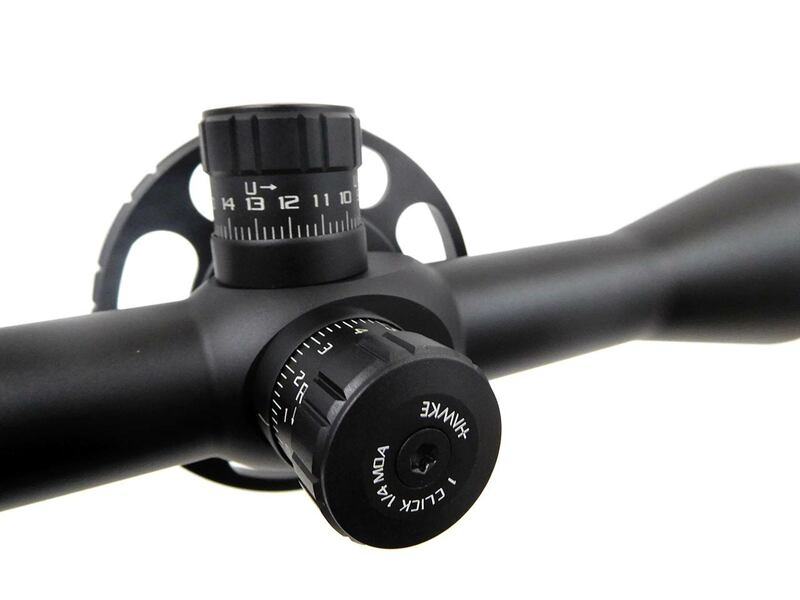 exposed locking and resettable turrets, 30mm mono tube chassis for superior strength, locking eyeball and high torque zoom ring, waterproof, shock proof and fog proof. 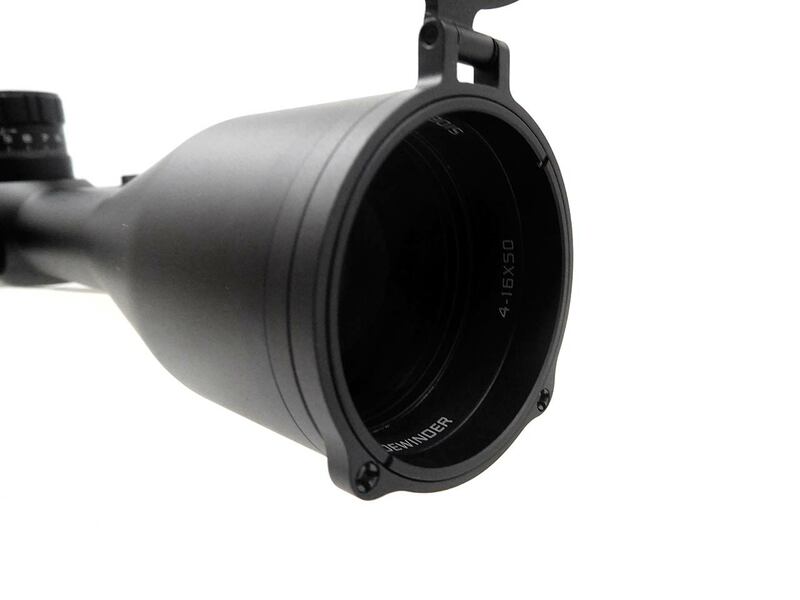 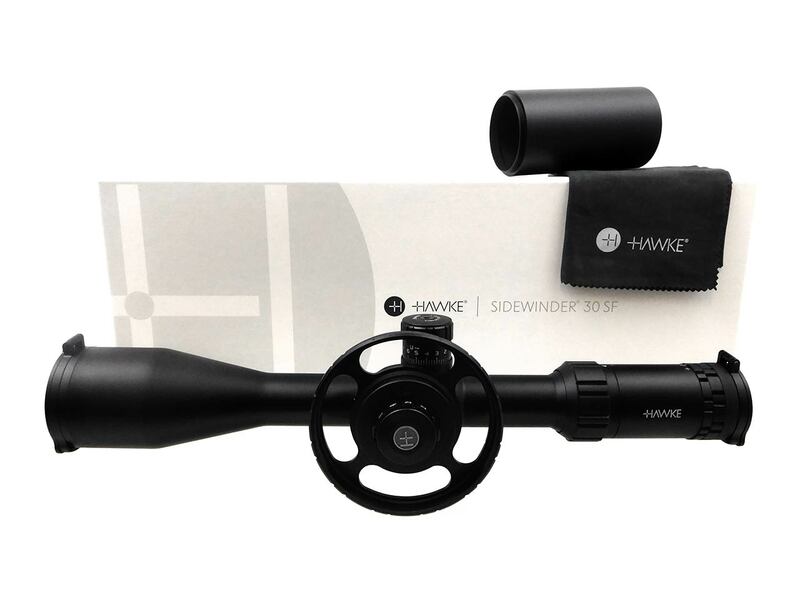 Includes lens caps, side wheel, lens cloth, 4″ sun shade and Hawke Worldwide Warranty.